INvolve Families Parents and caregivers mean so much to a child’s success in school. 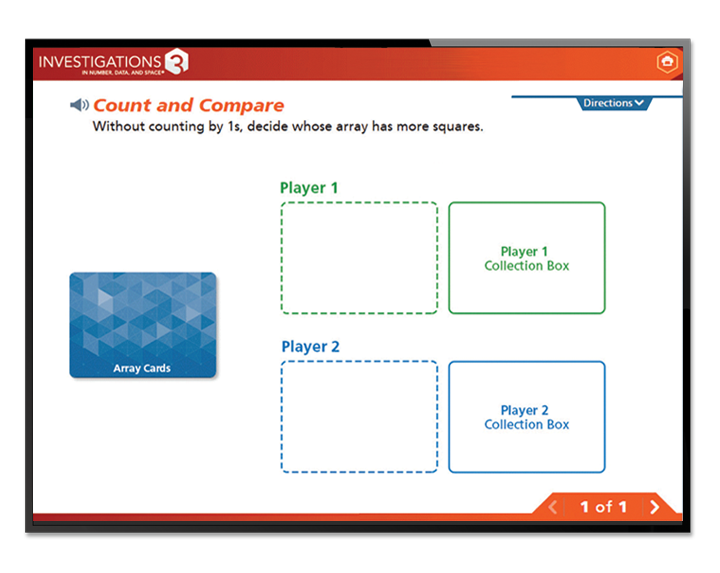 Investigations 3 encourages family involvement in math. New online learning tools make it easy for families to work together. Grown-ups can watch a refresher math video, get coaching support, and even communicate with teachers. Family involvement in math is one of the best ways to promote confidence, persistence, and understanding. Share, support, communicate. thINk! Math isn’t about memorizing. It’s about thinking. 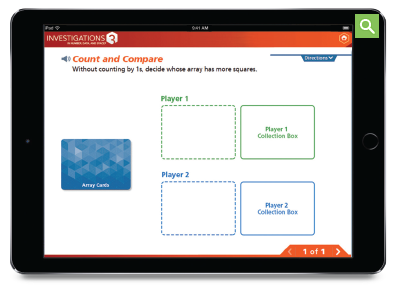 Instant access to all resources and activities supports family involvement in math at home. Need a math refresher? What questions do you ask? Investigations 3 guides family involvement in math. You don’t need to be a math expert. You can do it! Children develop reasoning, flexibility, and communication skills for a changing world.